With Ashampoo Burning Studio 2015 you are well equipped for all burning tasks whether they involve movies, music or simply files. 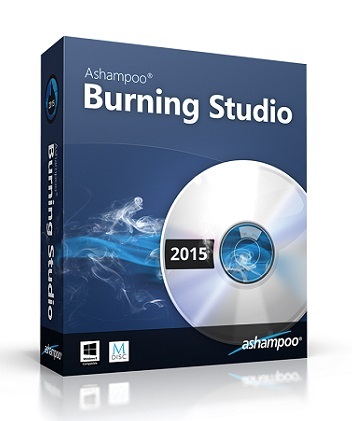 Create backups or data discs, rip music and create audio CDs or simply archive your movies to Blu-ray discs – the highly improved usability and sleek design make Ashampoo Burning Studio 2015 the ideal choice for all burning-related tasks. Installing the tool is simple and fast. Users should pay a little attention to the setup wizard, though. Since it is ad-supported, Ashampoo offers to download and install third-party components that are not mandatory for it to work properly. Ready files can be burned to a new disc with or without an autoplay menu, while rewritable discs can be updated with new files and folders. Item can be added to the task list using either the file browser or drag-and-drop method while navigating locations in Windows Explorer. As for the autoplay screen, Ashampoo can either create an auto-starting disc without the menu and let users choose the file and icon to show, or build interactive menus with multiple pages that automatically start when the disc is inserted into the computer. Apart from burning files to data CDs, the application also handles music via separate modules. It is able to create an audio CD (from OGG, FLAC, WMA, MP3 and WAV tracks), MP3 or WMA disc, copy music file to a disc, as well as to rip an audio CD.